Canadian researchers have found a link between household cleaners and overweight children — a relationship that could be connected to gut bacteria. A study, published in the Sept. 17 Canadian Medical Association Journal, analyzed the gut flora of 757 infants at 3 to 4 months, and their weight at ages 1 and 3 years. The researchers looked at exposure to disinfectants, detergents, and eco-friendly products used in the home. They found that frequent use of household disinfectants like multi-surface cleaners was linked to lower levels of Haemophilus and Clostridium bacteria, but higher levels of Lachnospiraceae in the gut flora of babies 3 to 4 months old. Significantly, their body mass index (BMI) was higher at age 3. Yet these same associations were not found with eco-friendly cleaners. Dr. Gina Posner, a pediatrician at MemorialCare Orange Coast Medical Center in California was less surprised. Ganjian said the study strongly impacts the direction of future research. For example, he said, if increased use of cleaning products leads to an increase in BMI by only .5 units, then that does not mean much. He added that if a child’s BMI is 30 and it should be closer to 20, then .5 units is not relatively much, even though it is statistically significant. But even with the need for more specific research, there are some things the public can take away from the study. Posner said it’s a good idea not to worry about dirt so much. Use regular soap over the antibacterial soap, generally speaking. 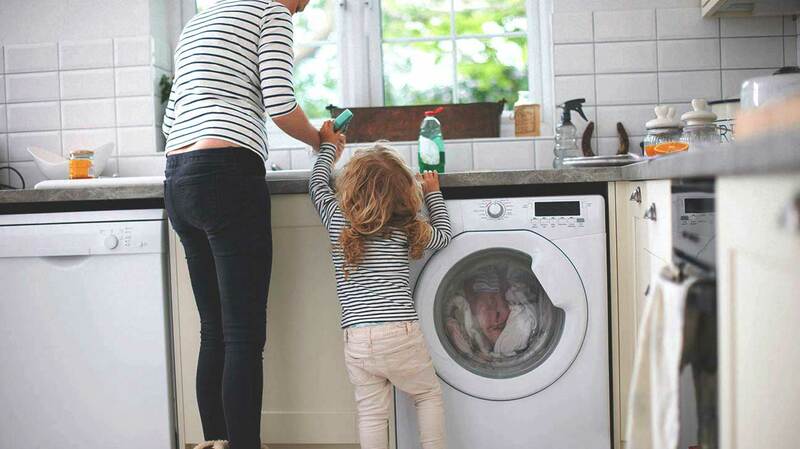 Her advice: Let your child get dirty. Ganjian suggests a more moderate approach can also make a difference. The hygiene hypothesis is the theory that an extremely clean environment can affect a child’s immune system, putting them at increased risk for certain conditions such as asthma and allergies. Of course, this doesn’t mean it’s time to throw caution to the wind and never handwash again. Ganjian said it’s also important to remember that there’s no magic answer to weight gain. A study found that frequent use of household disinfectants like multi-surface cleaners was linked to lower levels of certain bacteria, like Haemophilus and Clostridium bacteria, but higher levels of Lachnospiraceae in the gut flora of babies 3 to 4 months old. By age 3, the children with affected bacteria levels were more likely to be obese. The same link was not seen with eco-friendly cleaners.